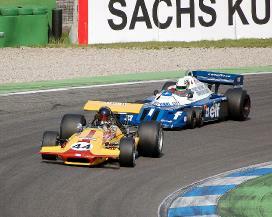 Team Tyrrell had three cars (701/2, 701/4, 701/7), and in most of races all three were tried during practice. From the Spanish GP on, March had 701/6 as the team spare. March’s own chassis records disagree with contemporary race reports and there is disagreement, too, among contemporary race reports as to the occasion on which Stewart used 701/5 and 701/4. In fact, 701/4 was never raced in its original spec, although it appeared in practice, but its racing history was undertaken with a 20 swg monocoque, thus the choice to give it the designation 701/4-2. 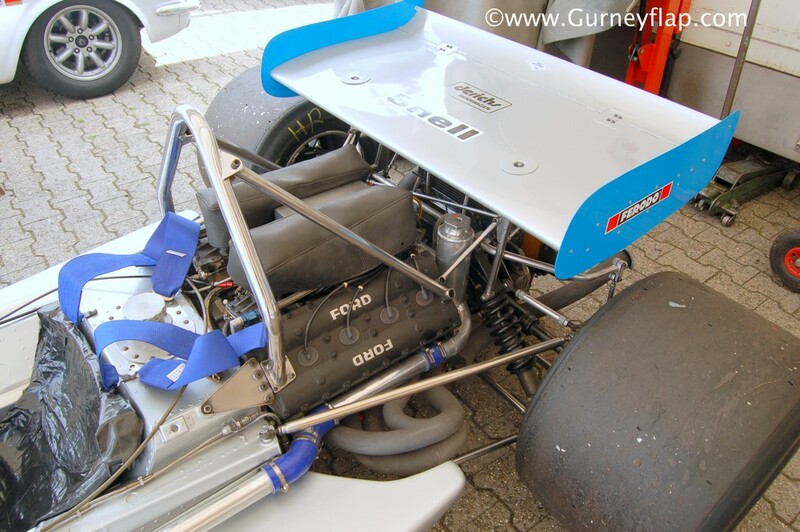 After Siffert crashed in the French GP, 701/5 was given a new monocoque, but this was the tub which had been originally fitted to 701/1, which had been repaired after Amon had damaged it in practice for Monaco. 701/1 received a new monocoque for the Belgian GP and this has been designated 701/1-2 (for Amon). 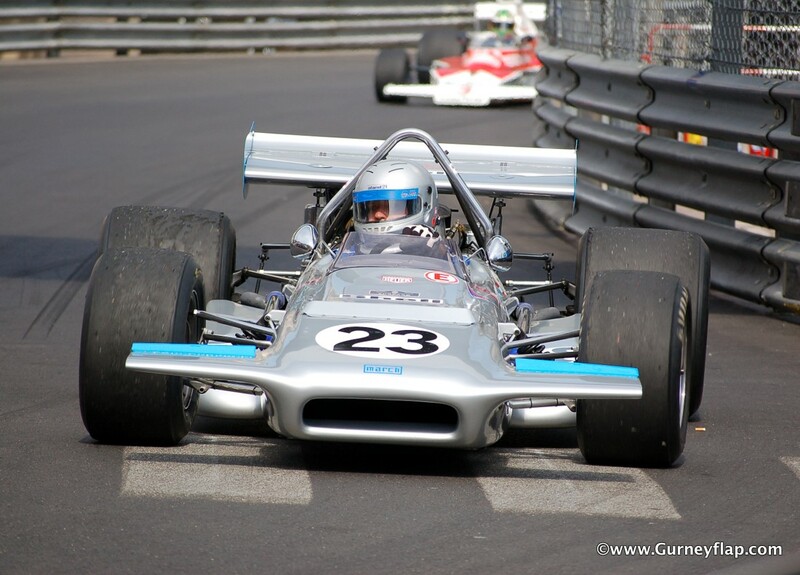 Siffert’s car with the tube from 701/1 has been given the designation 701/5-2, but it could be argued that 701/5 disappeared and the car which Jo Siffert drove after the French GP was actually 701/1 and 701/1-2 was a new car. 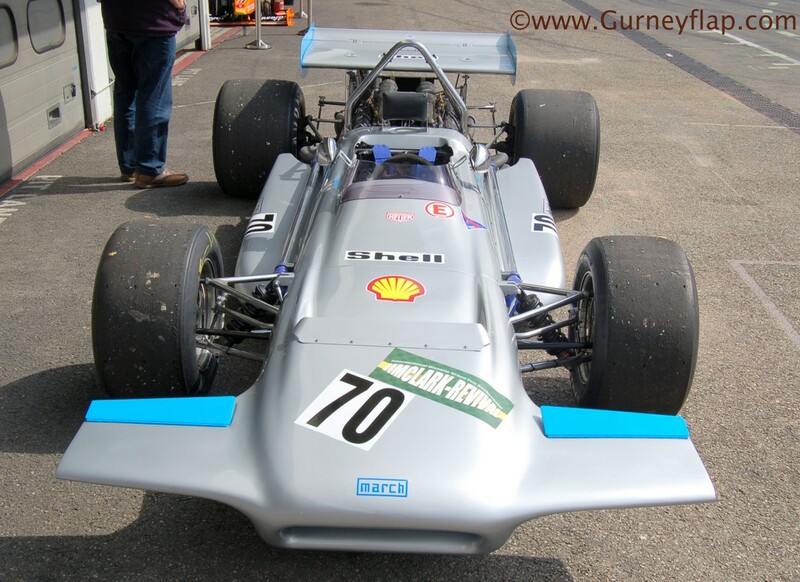 701/11 built up from spares and bits and pieces from Peterson’s car (701/8) for Mordaunt Clark Racing with Alistair Guthrie who entered Mike Beuttler in F1. 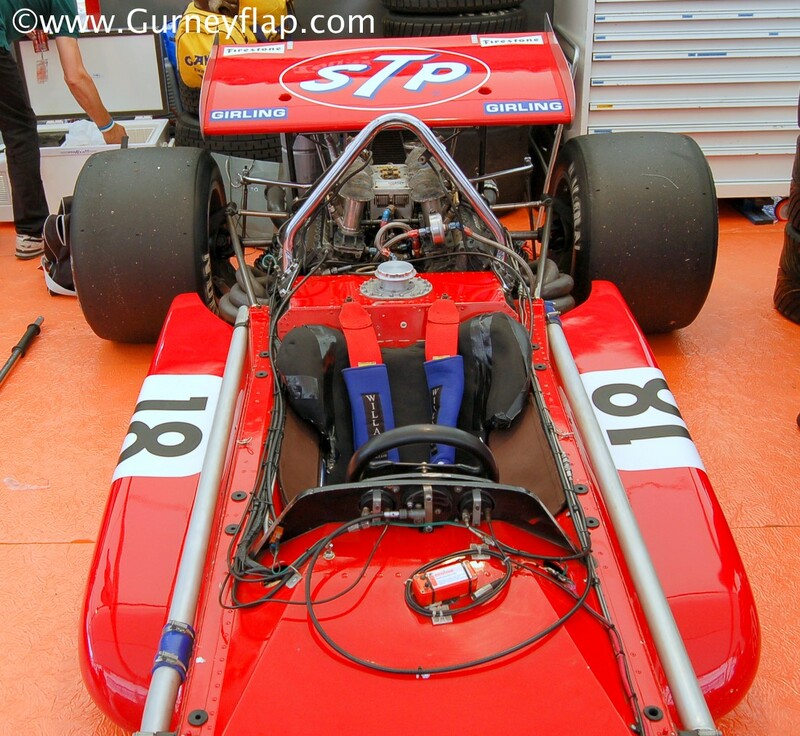 Before the end of the season 701/11 was converted by the works to F5000 spec. 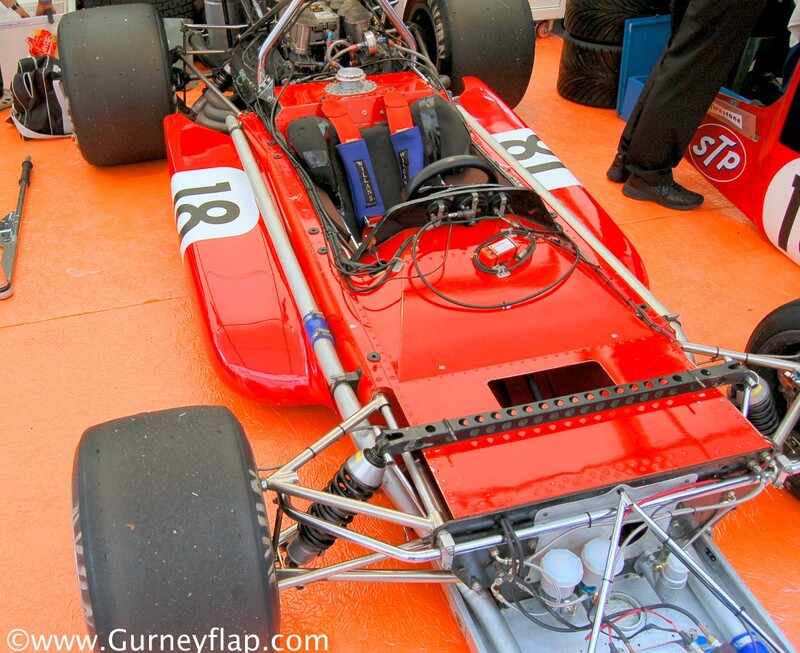 Frank Williams’s 701/6 received new tub (Tyrrell spare) after Oulton Park crash. 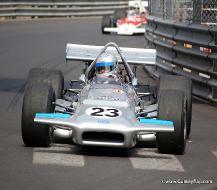 Siffert’s car was painted in the right colour: bright dayglow red-orange. Amon’s car was painted in a normal healthy red because it had left for Africa before right colour arrived. Car painted like Amon’s car for the same reason. 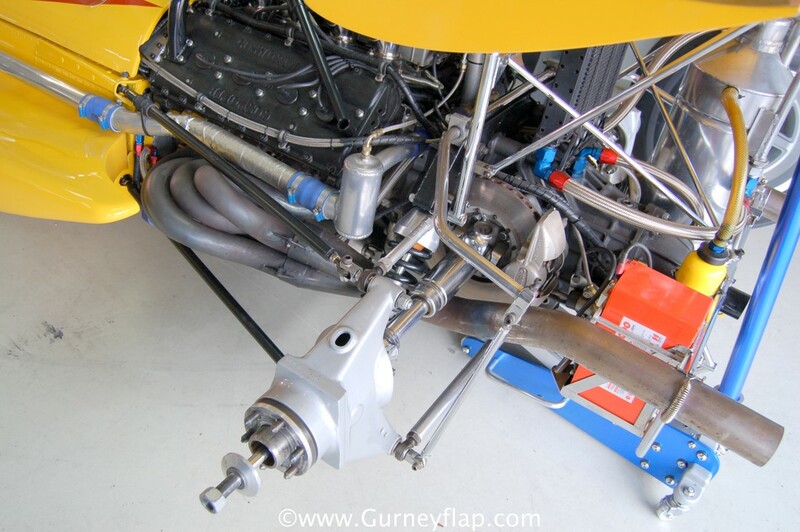 Small differences from works cars: run of oil pipes, unions and fittings, bracing struts for the rear aerofoil, exhaust pipe mountings, oil-radiator mounting. Stewart’s car was without lateral tanks. 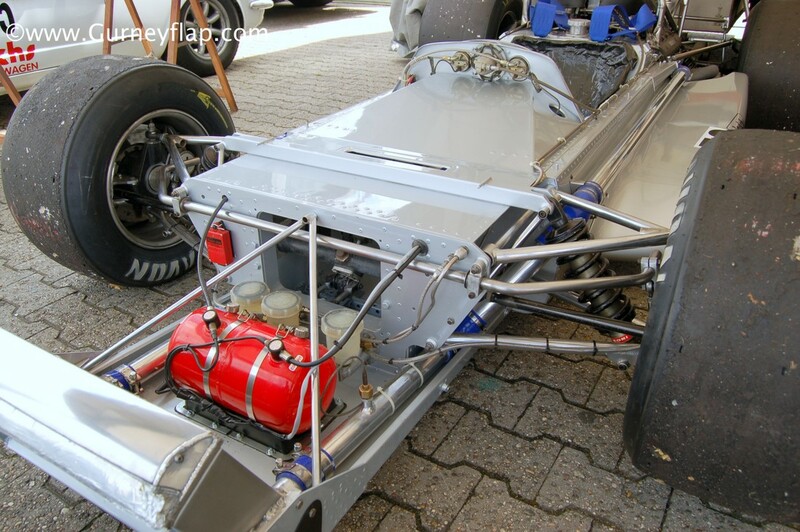 All cars with new rear suspension: parallel links instead of wishbones, with inboard brakes. 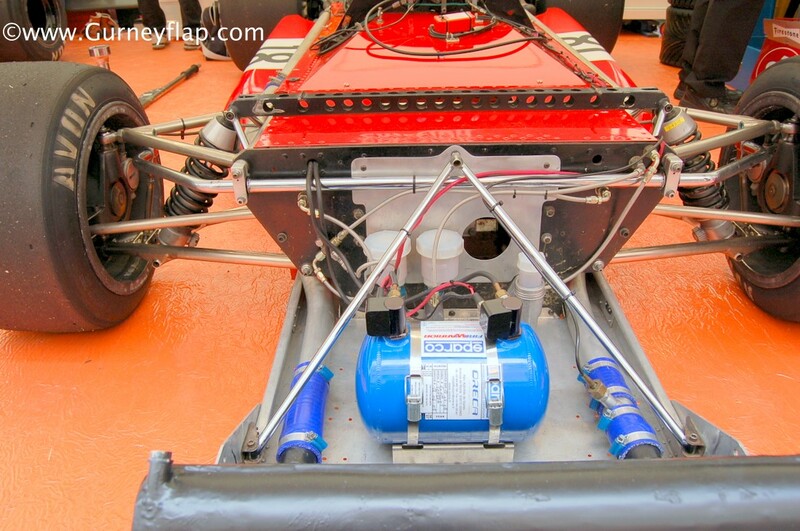 Amon’s spare car had 20g monocoque bulk (instead of 18g). All cars where without lateral tanks. 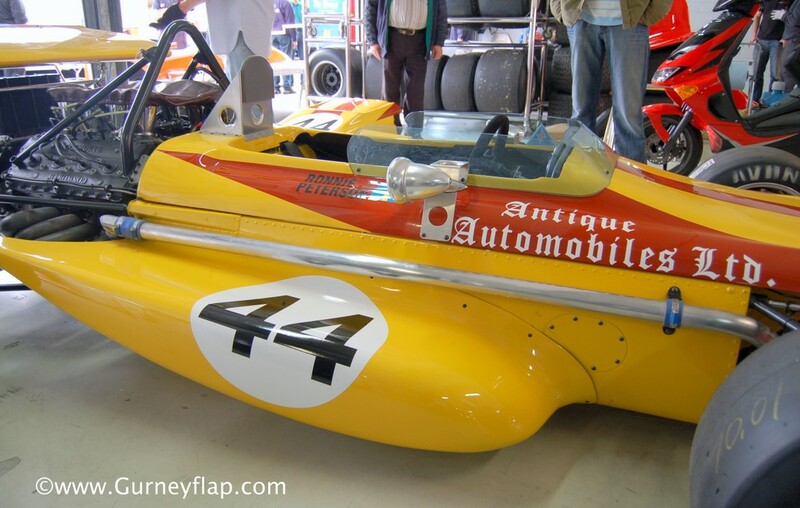 The car was being looked after by Vince Granatelli and was basically the original car with outboard brakes and American sliding-spline driveshafts, and more substantial roll-over bar. The car ran without lateral tanks. Armstrong dampers prefered to Konis. Front aerofoils fully adjustable and not built integral with the nose. 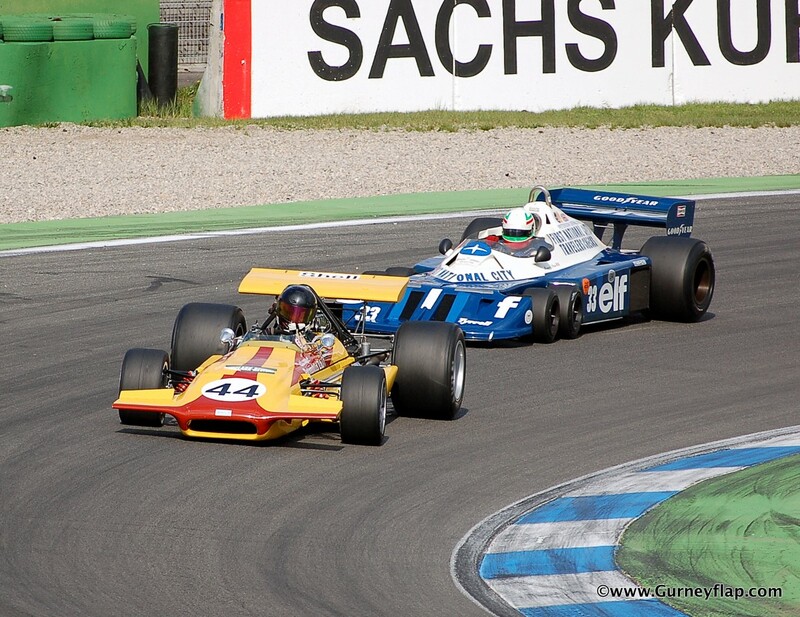 Stewart’s cars all with new rear suspension, while Servoz-Gavin’s car still had the old rear end arrangement. All cars had lateral tanks. The sides of the cockpit had been cut away to give Pescarolo’s tall shoulders more room. 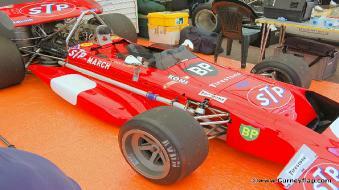 Built up from spares and bits and pieces from Ronnie Peterson’s car (701/8). Battery and fire extinguisher at the rear. Did not race. 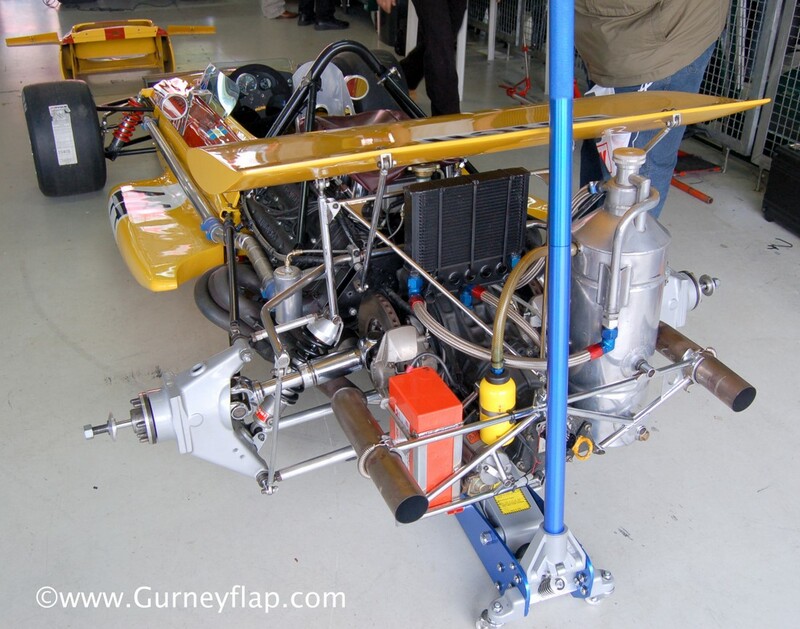 There was no time to rebuilt it after Trimmer had crashed in the Oulton Park Gold Cup race. All cars with new rear suspension. 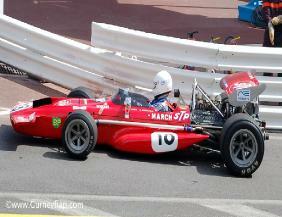 Stewart’s car with old-type exhaust system with short tail pipes and a different wing. 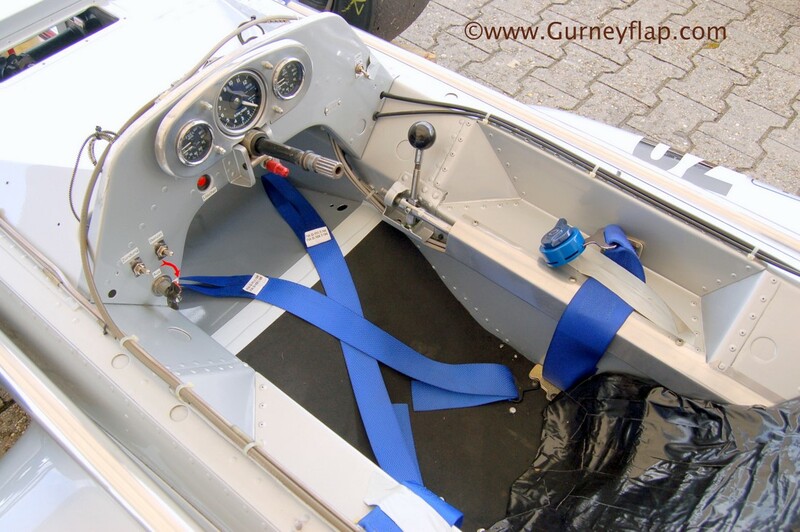 Tubular roll bars were now being used. The car now had the inboard rear brake set-up and new suspension. 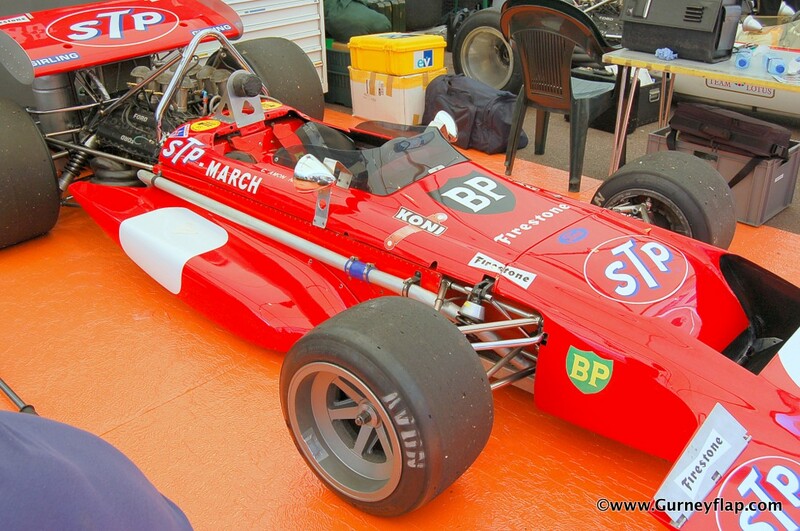 Spare car 701/4 had been completely rebuilt using a light-gauge monocoque and all the latest suspension modification. 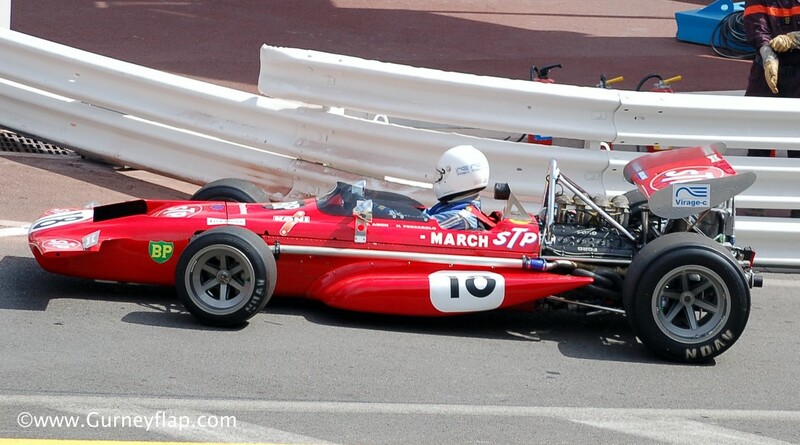 After Siffert crashed in the French GP, 701/5 was given a new monocoque, but this was the tub which had been originally fitted to 701/1: thus the designation of 701/5-2. 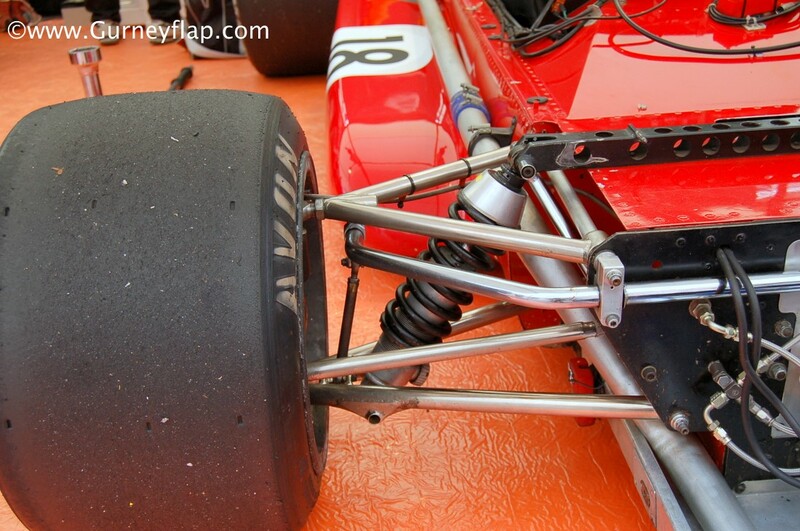 Rear suspension with wishbones at the rear instead of parallel links. New wings for both cars.